This March will see the re-release of Final Fantasy X and Final Fantasy X-2 remastered in HD. But as this collection has already come out in Japan, I am here to tell you why you should be excited to get your hands on it. 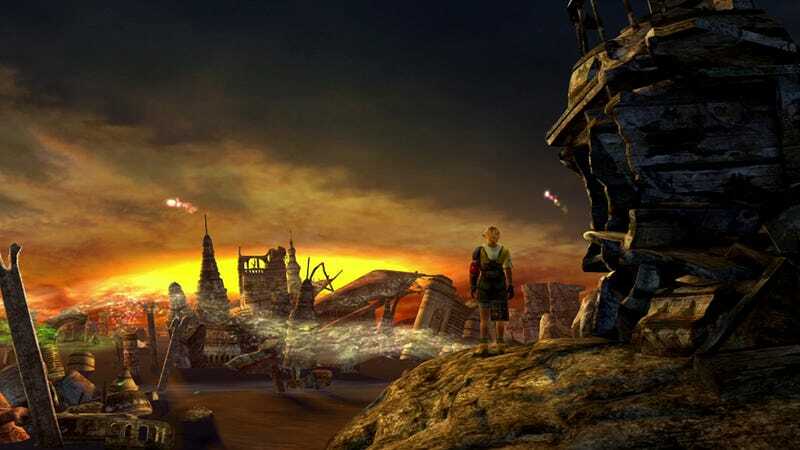 In the case of FFX, there is the option to try a new version of the Sphere Grid which allows for better customization and gives a bit more of a challenge. The other big addition comes in the form of the “Dark Aeons”—a series of bosses (and one incredibly difficult super boss) based on the summons Yuna gathers throughout the game. For X-2, there are two new dresspheres as well as some additional garment grids. But its biggest addition is the Creature Creator (and related coliseum) which allows you to capture and train the game’s enemies and other select NPCs and then use them in battle as party members. You can even train and use both boss monsters and characters from across the two games—including Auron, Seymour, and Lulu. The biggest change between the PS2 and PS3/Vita versions of these games is obvious: the HD coat of paint. Everything has been covered in new HD textures and the lighting system has been updated as well. To see just how much better FFX looks, check out the video above—and click here to see our comparison video for X-2. Eternal Calm is an in-game engine epilogue movie to FFX that has also been remastered for this collection. It was released in Japan as part of FFX’s international version (and the positive reaction toward the video was key in Square's decision to make FFX-2). However, it was only released in the West through Official PlayStation Magazine and the Unlimited SaGa collectors edition to promote FFX-2's impending release—so the chances are unless you caught it on YouTube, you’ve probably never seen it. And while it is nothing special in terms of plot, it does help bridge the gap between Yuna as we see her at the end of FFX and how we first meet her in FFX-2. Originally included in the international edition of X-2, The Last Mission is a short epilogue game taking place three months after the end of X-2. In the story, Yuna, Rikku, and Paine meet up at the recently discovered Iutycyr Tower and begin to explore its 80 floors. Every ten floors you beat, the girls discuss their lives (and the lives of the supporting cast) in the past three months. And yes, Yuna’s story changes based on the ending you achieved in X-2. –Will– is a newly recorded audio drama made just for the HD remaster that takes place one year after FFX-2’s perfect ending. It follows Chuami and Kurgum, two members of the Spiran Council on a mission to find Yuna. Along the way they encounter more than a few old faces and learn of a threat to the world that could bring the “Eternal Calm” to a sudden, horrible end. Final Fantasy X/X-2 HD Remaster was released in Japan for the PlayStation 3 and PlayStation Vita on December 26, 2013. It will be released in North America on March 18, 2014 and Europe on March 21, 2014.